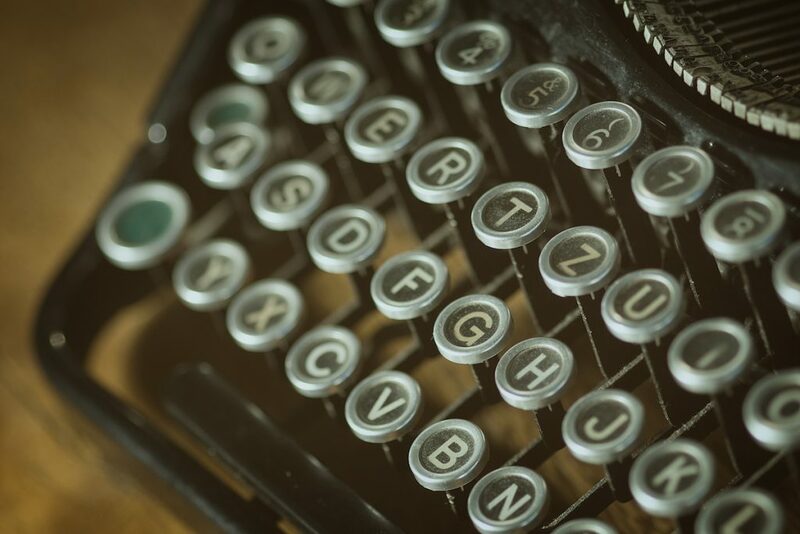 Two years ago, I sat down to write a post about marriage. 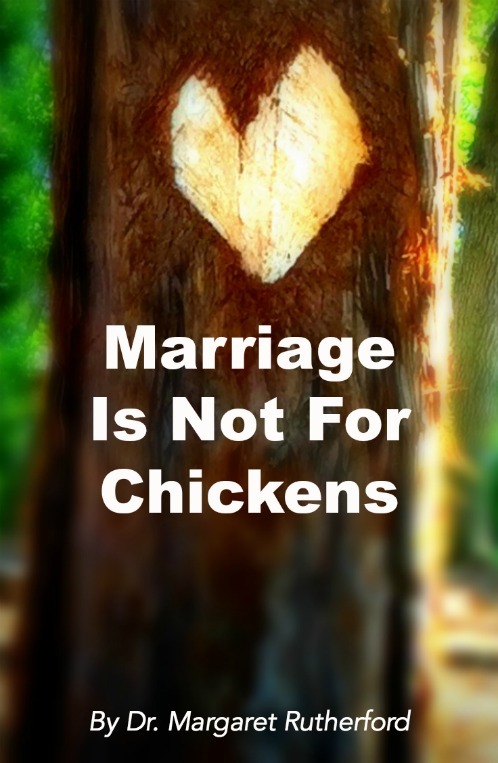 1) Marriage is not for chickens. It’s hard work. 2) Marriage is not a dictatorship. You don’t want to win all the time because that would mean your partner would lose all the time. 3) Marriage is not rocket science. The principles are simple: kindness, respect and loyalty. 4) Marriage is not old-fashioned. 5) Marriage is not in and of itself stimulating. The two of you can get in a rut. You have to keep things fresh. 6) Marriage is not about collecting things. The joys of marriage aren’t tangible. You live them. 7) Marriage is not for the impatient. Some of the best stuff takes a while to develop. You have to stick around to find out. 8) Marriage is not a place for contempt. That will ruin any chance of true intimacy or trust and dissolve the hope that once might have existed. 9) Marriage is not a 24 hour repair shop. Your partner isn’t supposed to meet your every need. Some of those you may have to take care of through friendships or hobbies. 10) Marriage is not self-sustaining. It will not thrive on its own. If all you focus on is the kids, you are making a mistake. 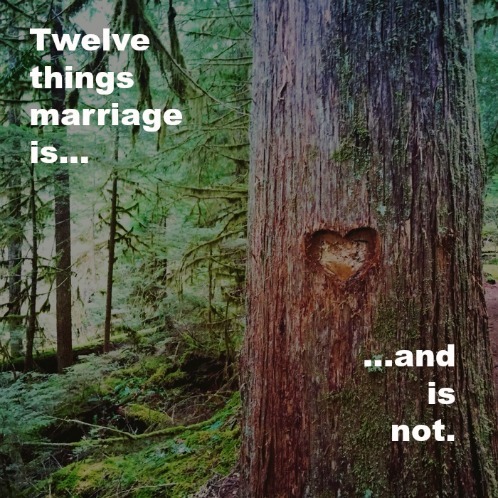 11) Marriage is not boring. Two lives woven together can be exciting. There’s something about watching someone very different from you live their life. You learn from that. 12) Marriage is not without conflict. Knowing how to disagree and work through anger and disappointment is key to feeling true closeness. Other relationships may end due to anger. Not marriage. 1) Marriage is the potential for an intense, deep and diverse intimacy. 2) Marriage is trusting someone has your back. Always. 3) Marriage is realizing that you have been seen in your worst times, and that are still loved. You feel incredible gratitude for that gift, and give it back. 4) Marriage is hearing some story over and over, but every time it makes you laugh so hard that you’re left gasping for breath. 7) Marriage is getting irritated by the things that always irritate you. Have irritated you for years. Will irritate you for more. And tolerating it because it’s way over-balanced by the good stuff. 9) Marriage is wishing you were the one having the operation or illness, not your partner. 10) Marriage is about fighting more fairly — learning how to apologize, to listen, and to find resolution. 11) Marriage is about vulnerability. Giving someone the right to hurt or disappoint you while simultaneously giving that someone the opportunity to bring you tremendous joy and laughter. 12) Marriage is a promise. A vow — to try the hardest you have ever tried in your life, for a chance to achieve a personal integrity not found anywhere else. I’m excited to announce that this post is going to be published as a beautiful gift book! Each statement about marriage has its own fine art photograph, and I’m very proud to offer it! Please SUBSCRIBE in the gray box to the right, and you can receive my posts weekly in your email. You’ll also get a free eBook, “Seven Commandments of Good Therapy,” which is a basic guide on choosing or evaluating a therapist. 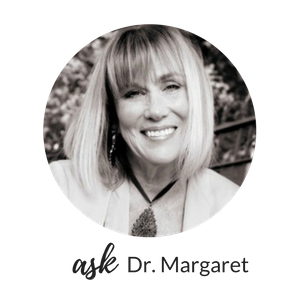 As always, you can privately email me: askdrmargaret@146.66.99.73.